Home » WWE » WWE tease SHOCK Roman Reigns RAW exit before Superstar Shake-up – Will he join SmackDown? 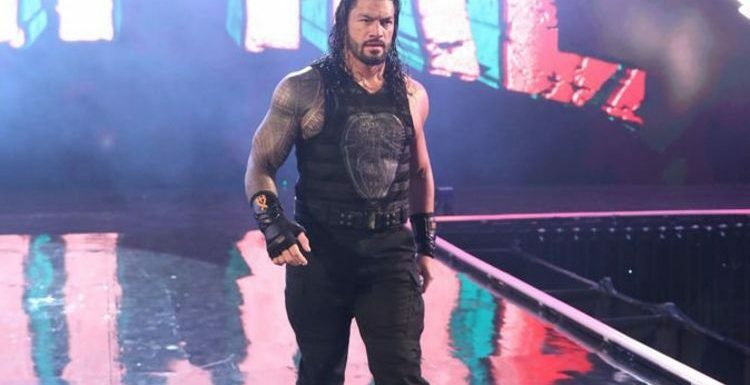 WWE tease SHOCK Roman Reigns RAW exit before Superstar Shake-up – Will he join SmackDown? Vince McMahon’s promotion will move superstars to different brands starting tonight on RAW and will also have some of NXT’s brightest talents joining the main roster. WWE.com put together a feature of five switches they want to see and would love to have the promotion’s top star Reigns leave the company’s flagship show to seek new challenges on SmackDown. There’s the feeling that after his four-month battle with leukaemia The Big Dog may have the unique opportunity to reboot his career. It is also claimed that this move will give him the chance to face some new opponents like Andrade and WWE Champion Kofi Kingston. Some even want to see him sharing the ring one more time with decorated veterans like AJ Styles and Daniel Bryan. WWE.com posted: “Okay, so this is a hot take. “Roman Reigns, after all, has been one of one of Raw’s lynchpins even prior to the 2016 Brand Extension, and it’s tough to imagine taking him away from the Universal Title he never lost. “But The Big Dog’s return from his leukemia battle has opened the door for a full-fledged reboot of his in-ring career – why not take advantage? “Move him away from Monday nights, where he’s run the roost and beaten everyone there is to beat, and send him to SmackDown LIVE to see how he fares against ready-to-pop new talent (Andrade), old rivals who have reached their final form (AJ Styles, Daniel Bryan), or even veteran Superstars who have finally tasted glory (Kofi Kingston). Reigns, though, is very likely to stay on RAW as he is the face of WWE and management will want him to remain part of the flagship show. Plus, it wouldn’t make sense for the four-time world champion to be denied a Universal title bid after being forced to relinquish the belt last October. The ex-WWE Champion had to vacate the title after being diagnosed with leukaemia in order to take time off for treatment. Reigns returned last February and competed in his first Singles Match at WrestleMania 35 where he defeated Drew McIntyre. WrestleMania: Rey Mysterio INJURED ahead of big title match – Will he miss WWE megashow? Ronda Rousey vs Becky Lynch: When will the WWE megastars battle again after WrestleMania? Undertaker: Will WWE legend appear tonight on RAW after SHOCK post-WrestleMania return?